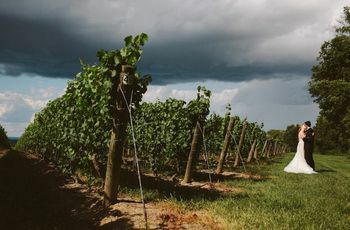 6 Ontario Greenhouse Wedding Venues | Wedding Ideas ARE YOU A VENDOR? Dream of getting hitched in a tropical paradise? You don’t have to stray far from home to find a lush garden. 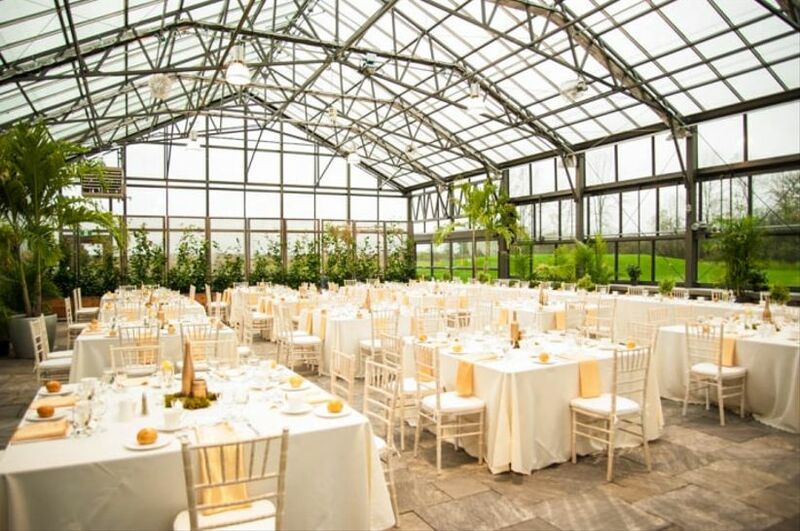 Here are a few of our favourite greenhouse wedding venues in Ontario. 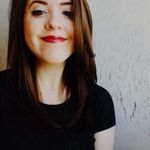 As soon as the seasons start to change from summer to fall, Ontarians begin packing up their tees and tanks and kissing the flora and fauna goodbye. So sadly, if you want to get hitched in the fall or winter, you won’t be able to throw an ethereal garden affair...or will you? 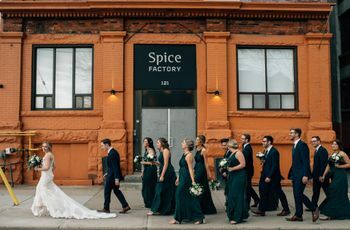 There are a few greenhouse wedding venues in Ontario that rival outdoor gardens with their lush collections of blooms that thrive all year round, and good news - you can say your “I dos” inside them, too. 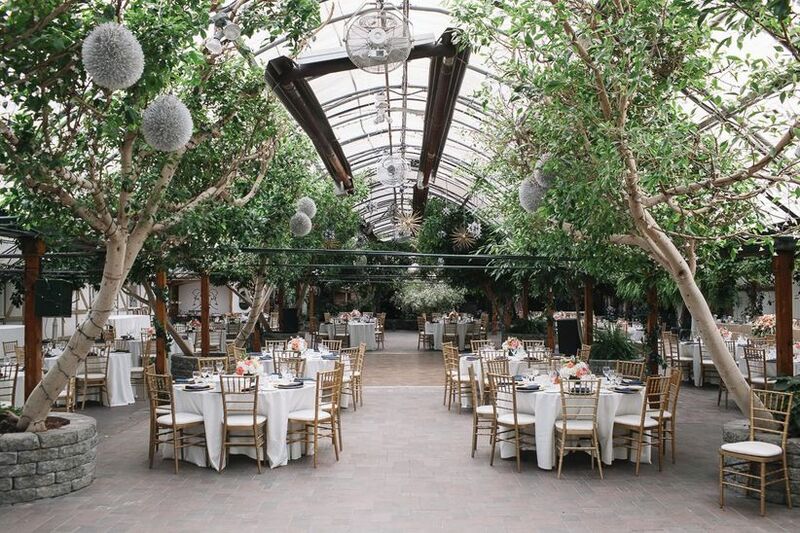 Here are a few Ontario greenhouse wedding venues to look into for your big day. Nestled in the Niagara Parks Botanical Gardens you’ll find the Niagara Butterfly Conservatory, just a quick ten minute drive from the falls. Aside from being surrounded by some seriously beautiful flora and fauna on your big day, you’ll get the added bonus of seeing over 2000 free-flying butterflies fluttering around (and if that’s not magical, I don’t know what is). The venue capacity is 20, so keep your guest list short. Good news, if you’re a fan of moths, monarchs and malachite butterflies, you’ve got options. Niagara’s not exactly close to where you call home? Try the Cambridge Butterfly Conservatory. This indoor oasis is a tropical paradise filled with over 2000 free-flying butterflies, birds, foliage, exotic blooms and more. 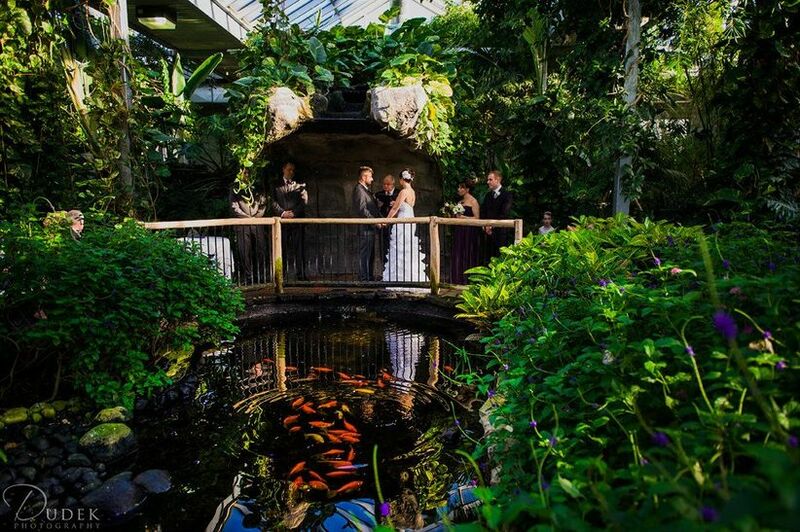 This greenhouse wedding venue is even outfitted with a waterfall that you can exchange rings in front of. Depending where you want to say your “I dos”, the venue can accommodate up to 200 guests. 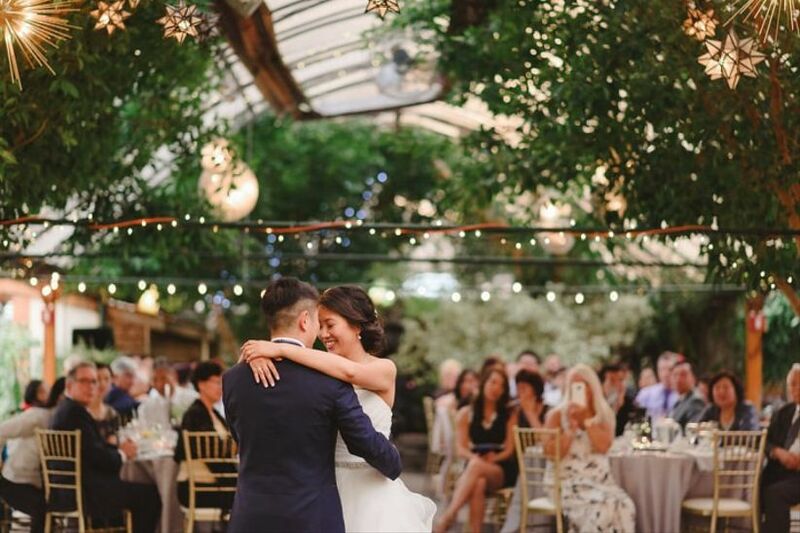 This greenery-filled Newmarket gem is a triple threat - a greenhouse, a retail garden and an event venue. 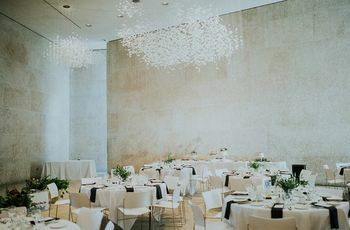 Inside you’ll find a stunning space outfitted with exotic plants, tropical trees, cascading vines, meaning you won’t have to splurge on your florist bill. 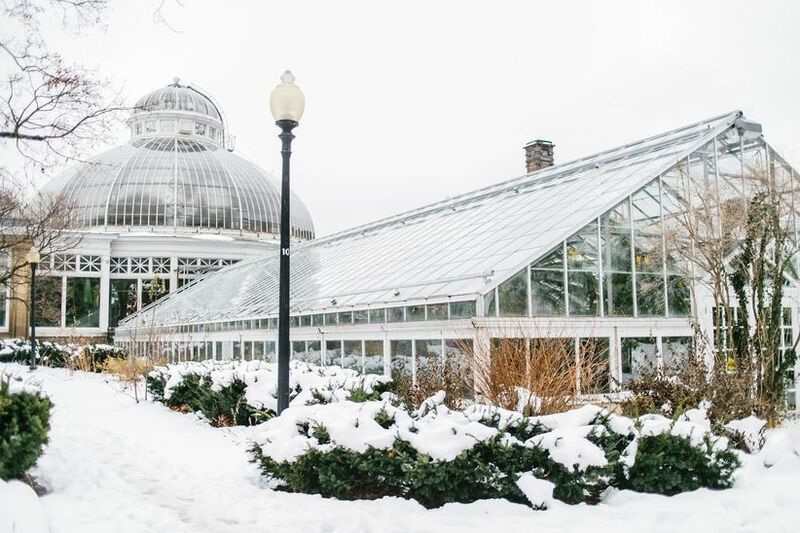 For a Madsen’s greenhouse wedding, there is 14,000 square feet of space that you can use for your event and it can fit up to 240 guests (so you can probably fit in a few extra plus ones). Etobicoke’s Centennial Park Conservatory offers the perfect escape from the hustle and bustle of city life. 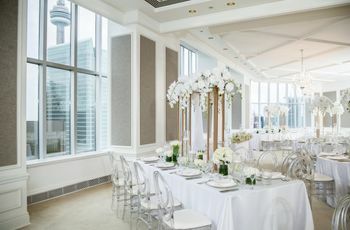 If you’re looking to get hitched in the 6ix, but want something far removed from the city’s vast array of skyscrapers and trendy event spaces, this is the venue for you. It has three greenhouses filled with stunning blooms and greenery, plus a few critters (like goldfish, turtles and birds). The permit season runs from April 30 to October 31, so unfortunately those with a winter wedding in mind will have to look elsewhere. It can accommodate up to 40 guests. Allan Gardens, established in 1910, is probably the city’s most well known greenhouse wedding venue. It’s located smack in the middle of the city - right next to where Jarvis meets Carlton - on the aptly named Horticultural Avenue. Its permanent collection includes begonia, hibiscus, cycads and pretty much everything in between. Like Centennial Park Conservatory, its permit season runs from April 30 to October 31 and can accommodate up to 40 guests. Hail from Ottawa? Check out Aquatopia Water Garden Conservatory, a tropical oasis that sits just outside of city limits. The greenhouse wedding venue is outfitted with ponds, streams and waterfalls as well as a stunning collection of plants and flowers. It can fit up to 150 guests, so feel free to invite a few extra friends and family members. Bonus: the venue can handle everything from your bridal bouquet down to your catering, making it a one stop shop.